Today it was possible to observe a special phenomenon in the sky that astronomers call it Super Blood Moon. This is the moment when the Moon is closest to Earth, and at the same time there is a perfect Moon eclipse. At that moment the Moon is 223,693 miles away from Earth. The Blood Moon appears when we have the perfect Lunar eclipse. Since the Moon is then in the shadow of the Earth, light can not be repelled from it. Nevertheless, the part of the Sun's light in the Earth's atmosphere still reaches the Moon, with most of the blue light oozing in the atmosphere due to oxygen and ozone. Thus, they remain mostly shades of red, and from there the name of the Blood Moon comes. 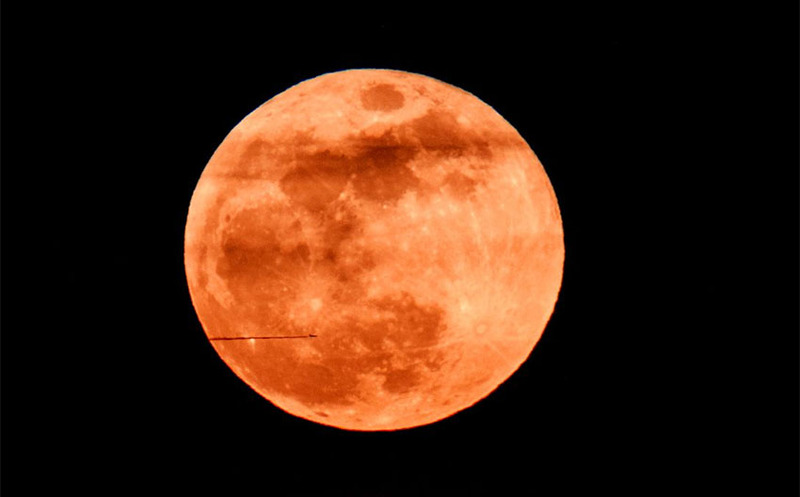 The Super Bloody Moon could be observed by the inhabitants of half our planet - in North and Central America, the phenomenon was seen on Sunday night by local time, and in the part of South America and Western Europe on Monday early in the morning. Extraordinary scenes with Blood Moon were also shared online by one of the observers, who recorded the whole phenomenon with timelapse technique. See how Super Blood Moon looked like today!